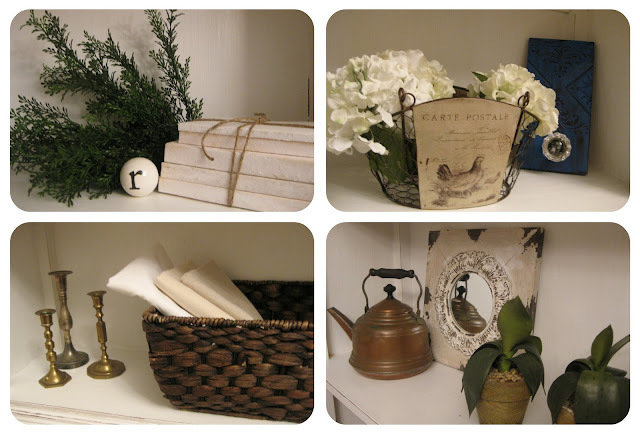 A couple of weeks ago I bought a fabulous vintage bookcase from one of my favorite furniture stores. I was looking for a piece to take up space, but also add a little life to the room. I quickly fell in love with this gorgeous, warm yellow bookcase in the corner of the store. I painted over the existing yellow with two thin coats of white paint. 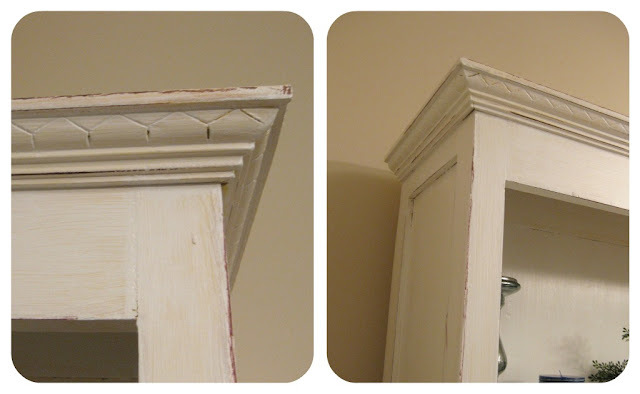 I wanted to keep the "used" feel of the bookcase and leave the brush strokes and old paint to show through. By sliding a brown ink pad around the corners and edges, I could also give it that same aged look that it had before. And then I filled the shelves with some wonderful knick knacks. I'm definitely relieved that it turned out well. The more expensive a piece is to replace, the more nervous I get when I'm trying to do a fix up. Now I can breathe a sigh of relief and just enjoy! Have you done any furniture makeovers lately? Let's hear about them! I'm dying to attempt some reupholstering, who wants to teach me? ?